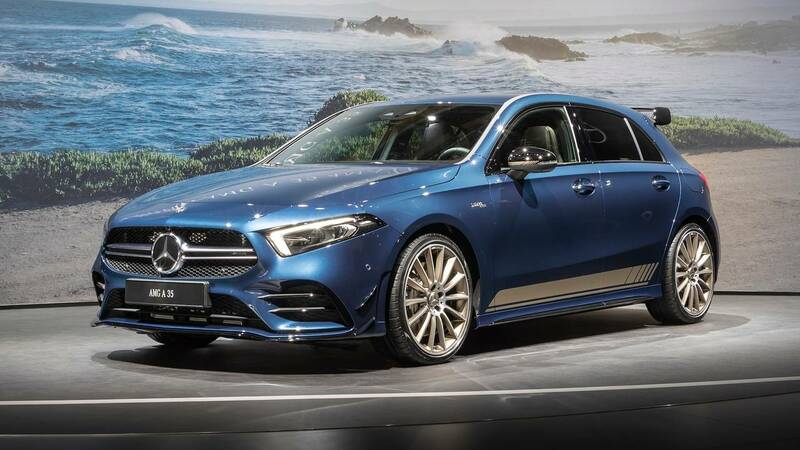 A few months out from the debut of the all-new A-Class hatchback, Mercedes-Benz pulled the sheet off its first hot iteration: The AMG A35. 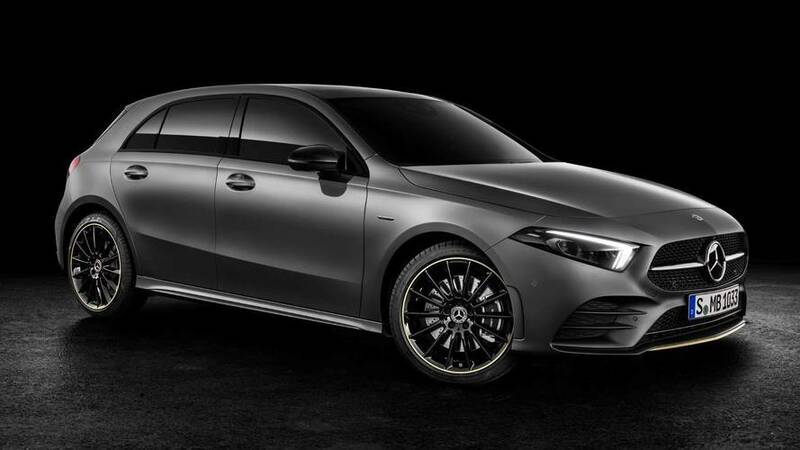 Its online debut was about two weeks ahead of its in-person debut at the Paris Motor Show – but now we finally get to see the hot hatch for the first time in the sheet metal. Of course, this feisty five-door looks substantially more aggressive than the standard A-Class. 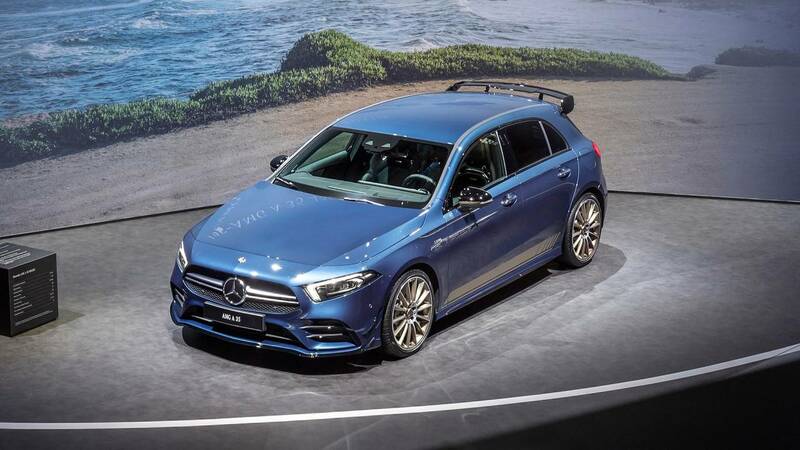 Some of the dead design giveaways include the aggressive front fascia with splitters aplenty, the blacked-out, high-spoke wheels, dat massive wing out back, and the bold blue paint job with grey accents, a sharp contrast from the yellow debut photos. But the new A35 isn't just a looker – it's more powerful, too. The hot hatch comes powered by a turbocharged 2.0-liter engine producing 302 horsepower (225 kilowatts) and 295 pound-feet (400 Newton-meters). Power funnels to all four wheels courtesy of a seven-speed, dual-clutch automatic transmission. Flat out, the A35 will sprint to 62 miles per hour (100 kilometers per hour) 4.7 seconds, and on to a top speed of 155 mph (250 kmh). Inside, the A35 features all the same tech you'll find on the standard A-Class. In particular, the new MBUX infotainment system surrounds the driver, replacing the previous COMAND setup. The A35 also gets a number of unique drive modes, including "Comfort," "Sport," "Sport+," "Individual," and even, "Slippery" for slipperier surfaces. The new Mercedes-AMG A35 still doesn't have a price, but it should go on sale in Western Europe as early as January 2019 – and no, it won't come to the U.S. The hot hatch is currently on display at the Paris Motor Show.